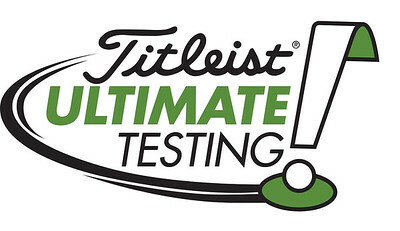 All of the details for the 2019 Titleist Ultimate Club Testing taking place in just a couple of months. We have put together just an amazing few days complete with the Titleist team for the lucky participants. New TS drivers and FWs for each of the six THPers in attendance along with a full ball fitting from their expert team. Then it's multiple rounds of golf, amazing food and all with this small group interacting with those from Titleist for a few days to remember for a long time. Ultimate Club Testing is about learning, testing and reviewing the equipment, and of course keeping it. Thursday Evening: Group Dinner with THPers and Titleist at a local Savannah spot. ALL skill levels are welcome and we mean that with everything we stand for. The friendly draft order competition will have a handicap tie in so it is fair for everybody. Last edited by JB; 02-23-2019 at 09:26 PM. This should be a lot of fun! The Titleist crew knows how to have a good time according to last year’s events, and a cool location. Very cool ticket that a lot of people will no doubt be trying for. Wish it wasn’t during golf season for me! Alas, work wins again. This event looks spectacular! Good luck to the folks going out for this one! Guys don’t sleep on the ball fitting part of the event. Titleist goes all out and the education you receive about your game & equipment fit is invaluable. Sounds like an amazing event. Shame it’s during it’s the same weekend as my last day of graduate school. Looks like a another great event, and the site of my first THP event, an Invitational. Very interesting event! Can’t wait for sign-ups! Glad to see the details out on this one. Should be good again! This is pretty close to me. I'm intrigued. Looks awesome and only 4 hours drive away from my house! Sweet! This one sounds amazing. Can't wait to sign up. The lucky folks will really enjoy this opportunity. Being involved in the event last year I can tell you the experience is awesome and the titleist team are great people! This looks to be a special event once again.